Nightcruiser Party Tours have provided the popular Wine and Brewery Tour for a number of years. They are popular for Birthday Celebrations, Hens Party day and Bucks Does. The option you have, starting from 36 minutes away at some great venues in the Ferguson Valley Breweries and Wineries or at least 1.5 hours drive towards deeper South e.g. Margaret River. Breweries and Wineries. Most venues wish to speak with you directly and you will have to book them first otherwise you might be refused entry. You might want to include Lunch or Lunch on the run. This is not included in our price nor are tasting fees and the drinks which are chosen and paid for separately by your Guests. The Nightcruiser Booking Crew Bunbury will provide you will all the venue information and contact details once you have made a tentative booking. Other famous services are Festival, Concert, Sports Supporters and Event tours and transport locally and to Perth in a party atmosphere. 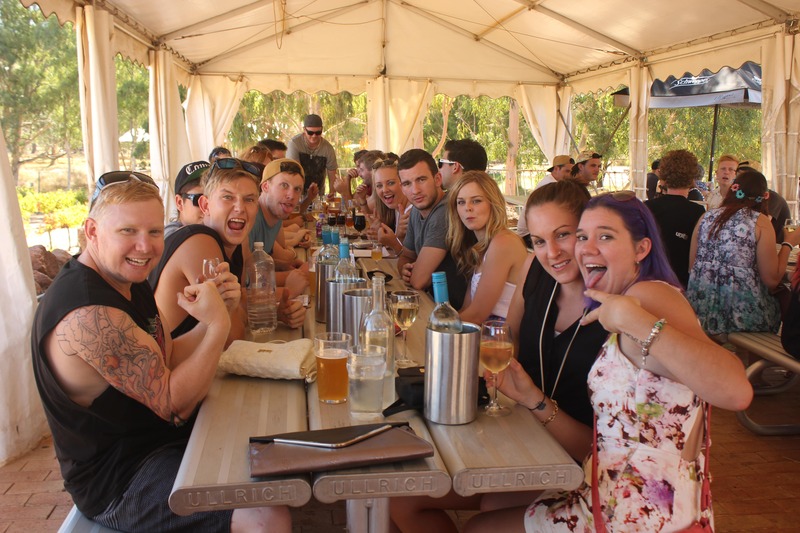 We provide you with the best pre-tour advise and booking service free for all our Party Tours in and around Collie, Bunbury and South West Tours. Pub and Club Tour, Hen Night, Buck Party, 18th, 21st, 30th, 40th Birthday, All Age Bus Party, Bus Party, Wedding Guest Transport, Late Night Group Transport, Wine Tours, Progressive Dinner, Bus and Coach Charter, Bus Tours and lots more.